It wasn’t supposed to go up til Wednesday, but is up early! So, head over to I Heart Naptime today for my whale softie tutorial and free pattern! Hope you have a whale of a good time. har har. Yeah I’m lame so what? Here is the full tutorial, now posted on my blog! I also love softies. 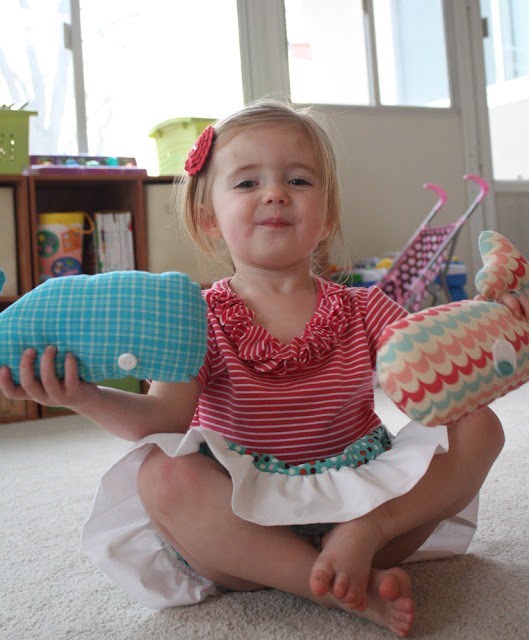 They were some of the first sewing projects I made for my daughter! Here’s an easy whale softie tutorial-perfect for your little one, or a baby shower gift! Best of all, it’s really easy-and doesn’t use much fabric. First cut out two pieces of the pattern-make sure the wrong sides are together while cutting it out. 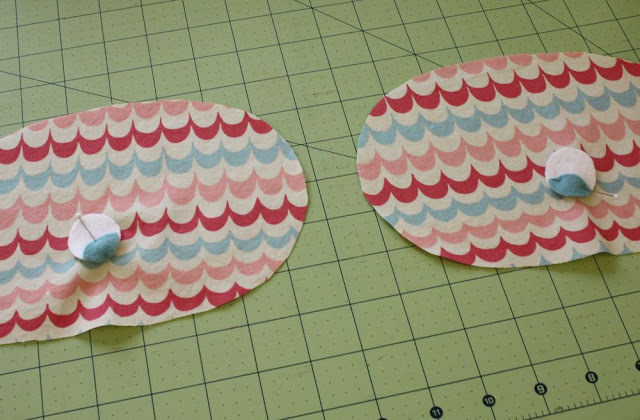 Cut out the eye pieces if you’re doing felt eyes and pin to the whale pieces, or sew on the buttons if you’re doing button eyes! I played with the placement-I did prefer them towards the front of the “nose” but it’s up to you! You could also add a smile, or felt water coming out of the blowhole. hehe! 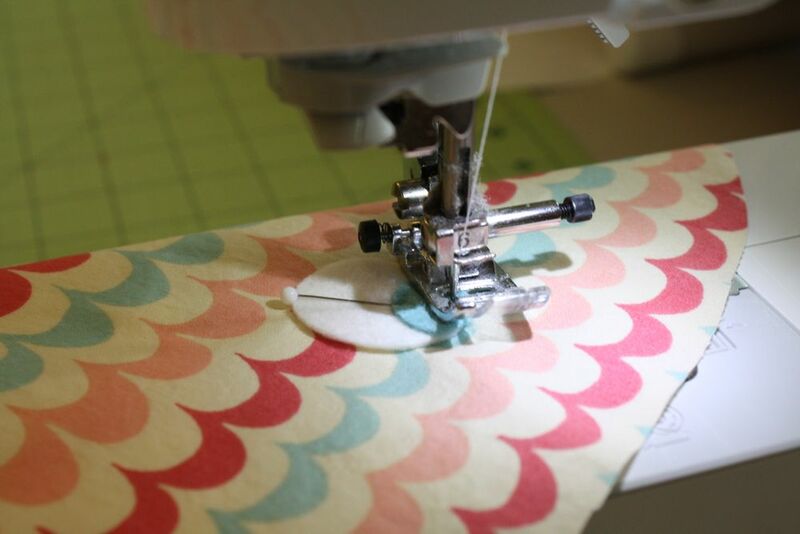 Sew around the edge of the felt with your machine. Then, right sides together, pin the two pieces together. 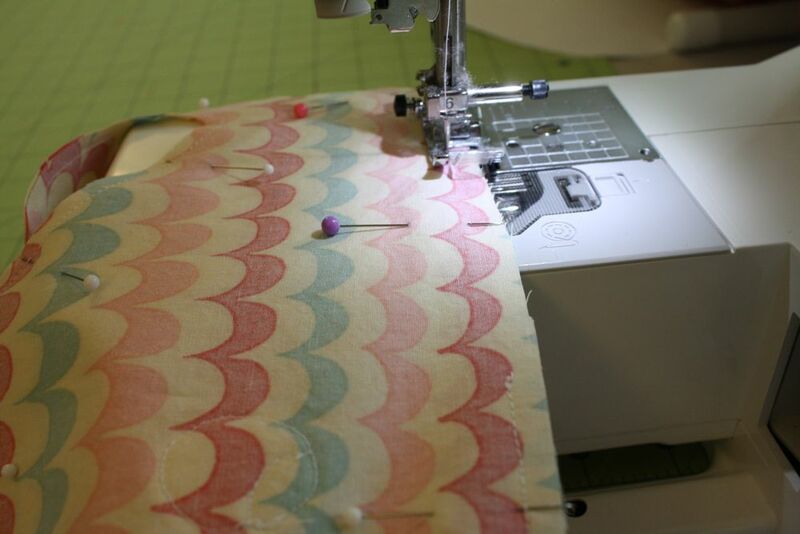 Sew around the edge with 1/4″ seam, leaving a space for turning about 2-3″ wide on the bottom of the whale. Iron the seams on the bottom where it’s open, then clip the curves around the whole whale. This may take a little while but will make it look a lot better! Stuff with poly fil-tail first, then the body. When you think you’re done stuffing……stuff some more in there! 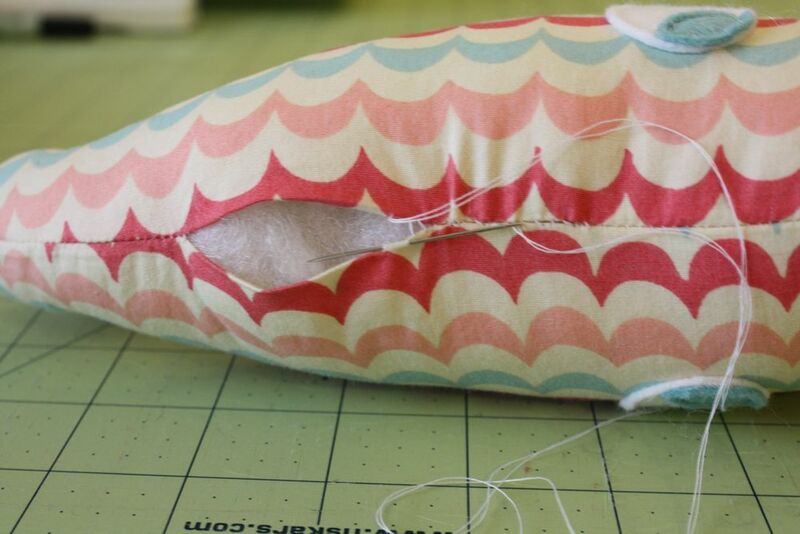 Then slip stitch the bottom shut and you’re done with your cute whale softie! 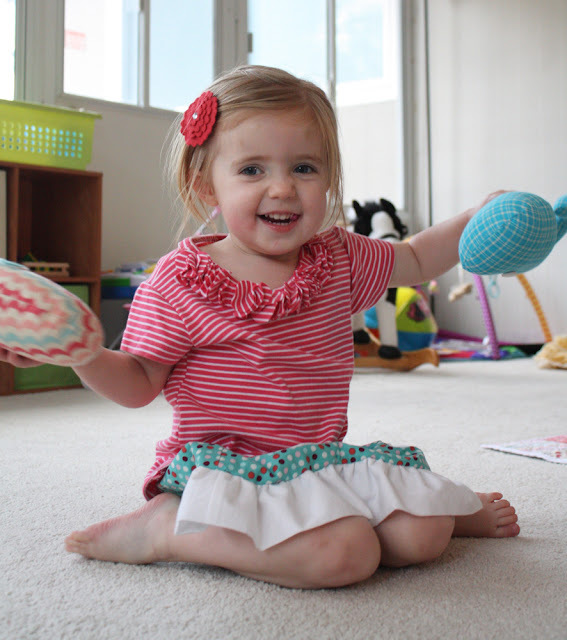 Super cute, and PS I totally knew which one was your project…vote for you…check! very cute! 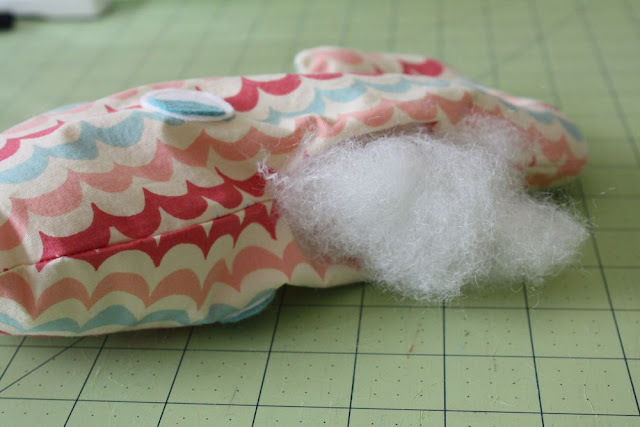 Always looking for stuffed animal sewing projects in our house – without them Show & Tell at school can be a real B&*^#% – lol. Those whales are soooo cute! I love the fabric you used. The giant buttons are so cool too:) Love your blog!! These are so darn cute, I can’t stand it!!!! Love ’em, Jess. Super cuteness! So the pattern is free, but the place where you are hosting it is not? I’m trying to download and print, but it keeps wanting me to subscribe and pay? I would love to make this but when I click the link for the pattern it says it is not available. Where can I get the pattern?? Hi I just went out and bought fabric today and when I went to download the pattern I had the same problems as the people who have commented above me. 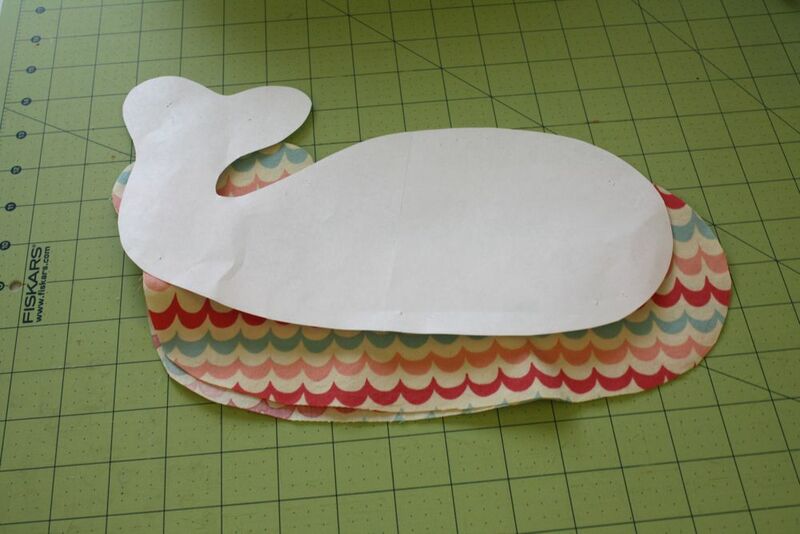 I am so excited to make these, could you please get the pattern for us again? 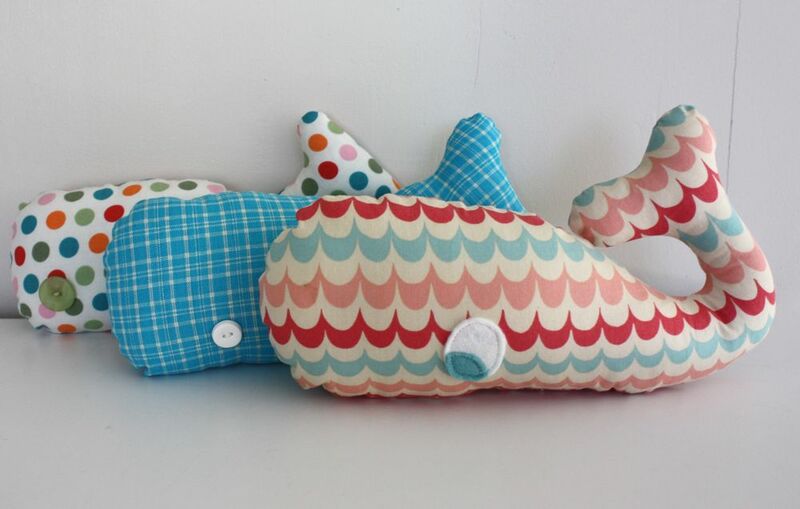 Hello, I loved making this cute little whale thanks for the tute! 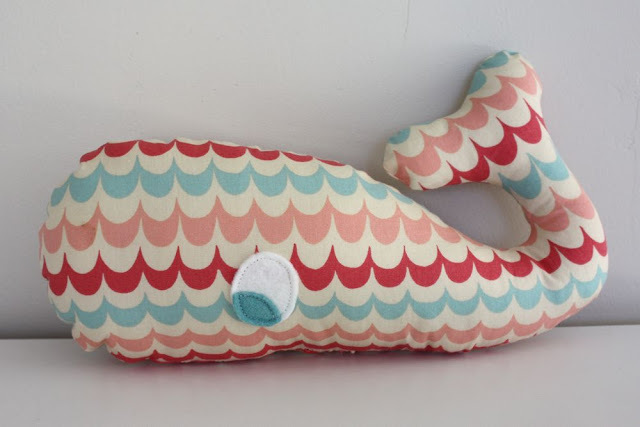 One question im newer to sewing and I am not sure if I just stuffed the whale too much or what, but you can see the thread near the tail and the back…any suggestions would help a bunch I plan on making a few more for xmas gifts =) thanks again! so cute! I posted a link on my facebook page–hope that’s alright! so cute!! where do you get your fabric? and what kind of polyfil do you use? thank you so much!! i love this! so cute!! I tried it myself 🙂 Thank you!! Cute! Thanks for the pattern and tutorial. 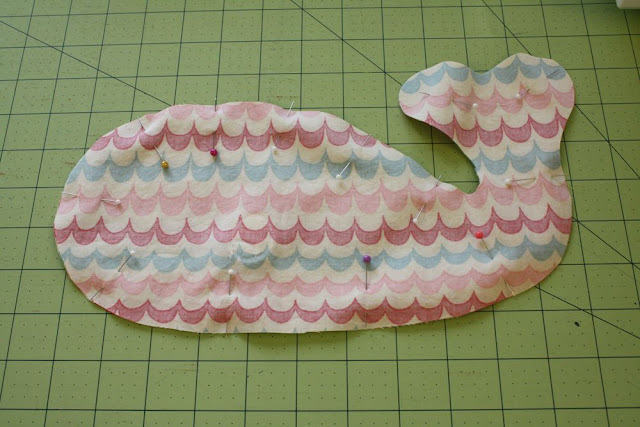 One whale complete (and I’m pleased with how it turned out), one to go. 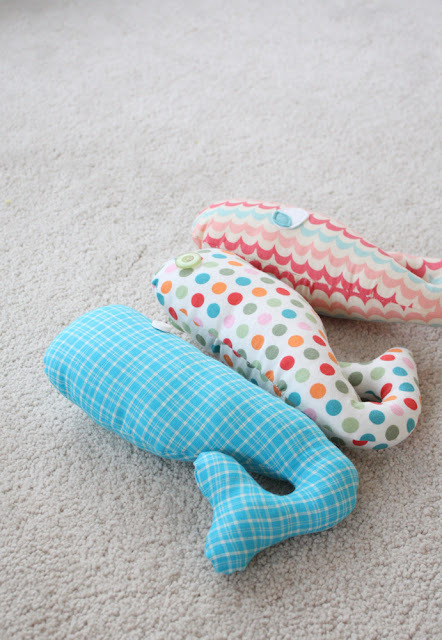 my kids are desperate to sew these whales, and I thought it would be a great project for them to make. 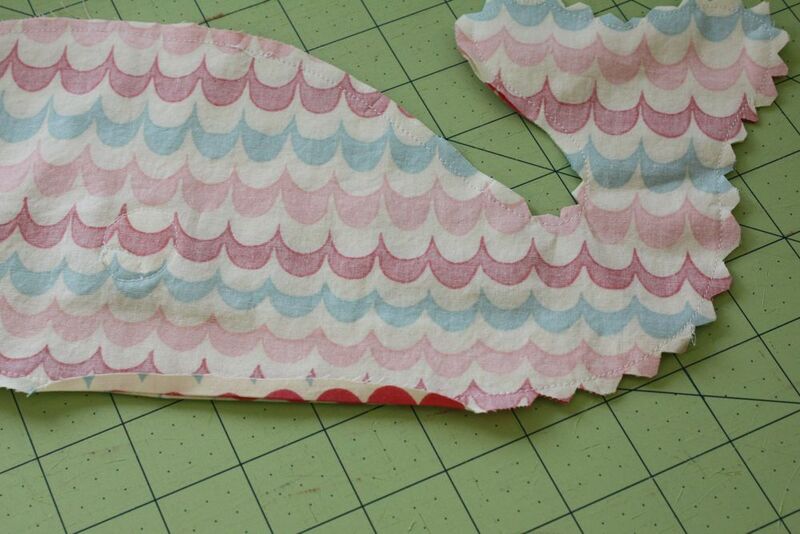 But try as I might I cannot get the pattern to print, we just get a screen shot type thing with just the Wh of whale. Please help, they have just spent all morning tidying their rooms so we could do this – and we had to go and buy printer ink too! Anonymous, please email me at [email protected] and I’d be happy to send the pattern to ya! Really cute whales ! Thanks for sharing !